Botswana's rich and varied wildlife can be experienced either through fly-in safaris using remote lodges and camps, or with vehicle-based lodge and camp safaris, luxury or budget participation guided camping safaris, either with a group on a scheduled departure, or private trips. Click on the links to see the full sample itinerary and rates. All the trips that end in Kasane can combine with a Victoria Falls extension very easily and of course the below is just a selection of our standard itineraries, but there are endless itinerary options which we can tailor to your needs. See here. ​US$403 per person low season / US$430 per person high season (15 June to 15 September) Interactive itinerary here. 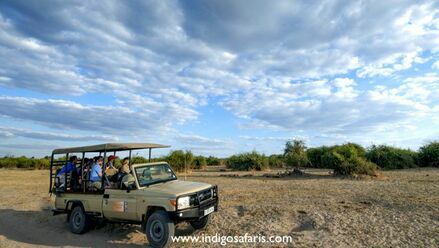 ​Authentic Lodge Safari from US$910 per person sharing ​Interactive itinerary here. ​Authentic Lodge Safari from $1010 per person sharing. ​Interactive itinerary here. from ​US$ 2,700 per person sharing. ​7-day Value for Money Fly-in Safari including the Okavango Delta, Khwai and Chobe from US$2,960 per person sharing. Interactive itinerary here. ​including the Okavango Delta, Khwai and Chobe from US$3,040​ per person sharing. per person sharing ​Interactive itinerary here.